I have lived all over the beautiful and diverse state of California. With beaches, mountains, deserts, and redwoods, California has it all! What could be more American than taking a family car trip and stopping at cheesy roadside tourist attractions? There are plenty of these dotting the highways and byways of America, and the stretch of Northern California's Hwy 101, between the small towns of Leggett and Garberville, has perhaps more than its share of them. This is California's redwood country, home of the largest trees in the world. 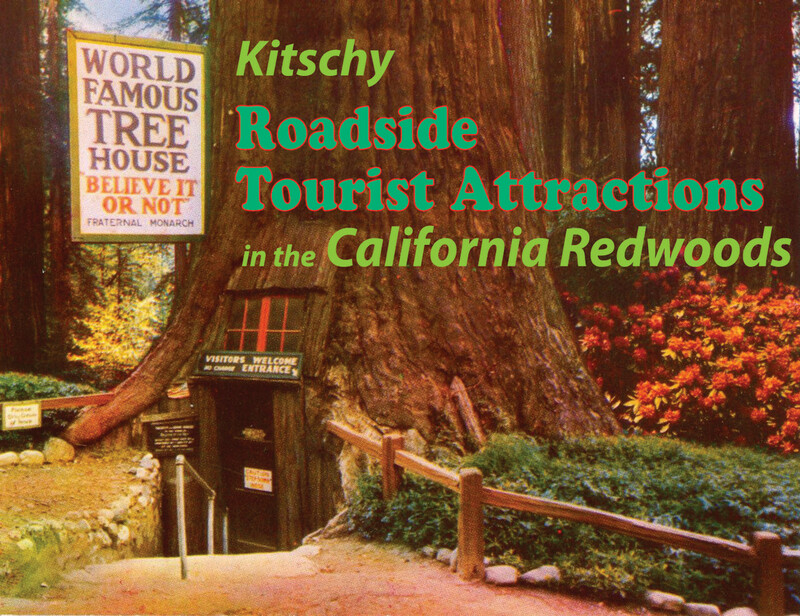 While these kitschy roadside attractions are fun to visit, and are part of the history of the area now, it feels like there's a huge disconnect between the innate dignity of the trees and the campy tourist attractions built to take monetary advantage of them. Most of these attractions were created in the 30s and 40s. A few of these stately giants have been subjected to perhaps the epitome of redwood exploitation, the Drive-thru Tree. As the name suggests a tunnel has been made through the trunk of the tree to allow a car to drive through it. There are several of these trees still living, the southernmost one, Chandelier Drive-Thru Tree is near the town of Leggett. Leggett's Chandelier Drive-Thru Tree is a 315 foot tall coastal redwood tree located about 175 miles north of San Francisco, it sits on a 250 acre park. It has a 6'x6'9" opening in its trunk that was first carved in the 1930s. 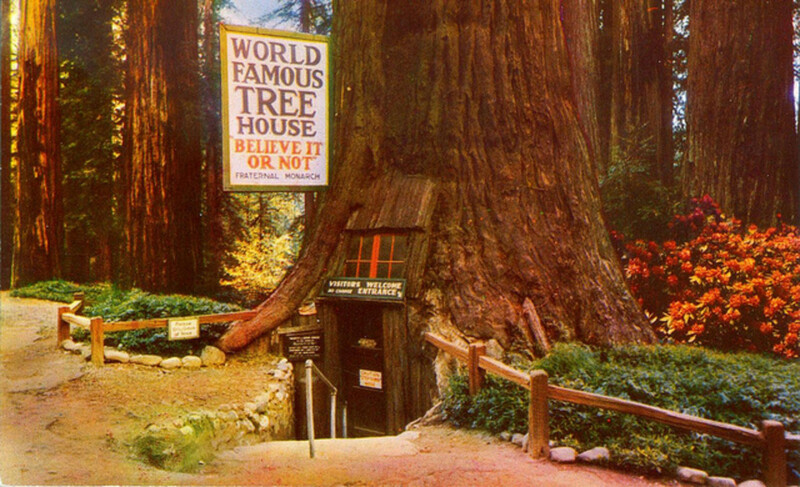 After paying a $5 per vehicle entry fee to the park you have the the privilege of driving through the tree, you can then visit the gift shop and purchase redwood items and kitschy souvenirs, like the floaty drive-thru-tree pen. When the pen is turned on it's end a little car floats through a tiny redwood tree. 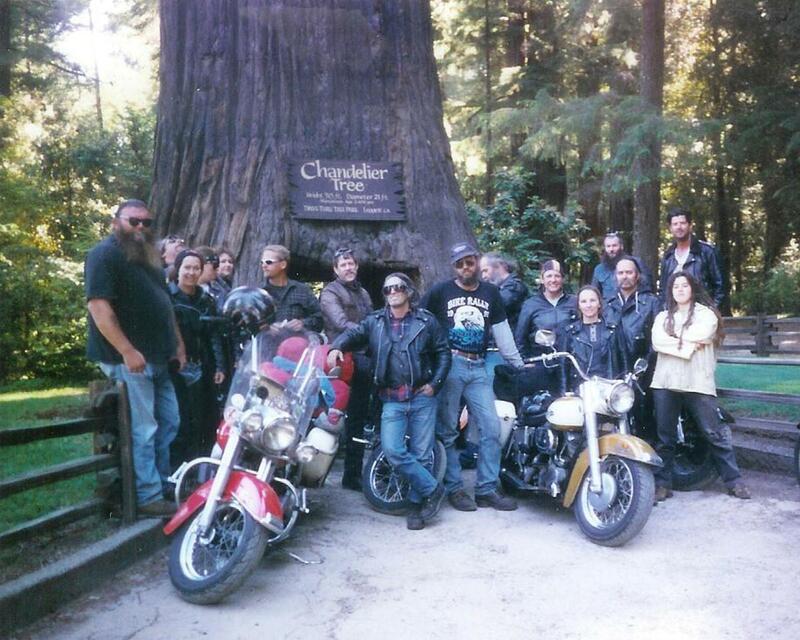 Also in located in Leggett along Highway 101 (AKA the Redwood Highway) is the World Famous Tree House. 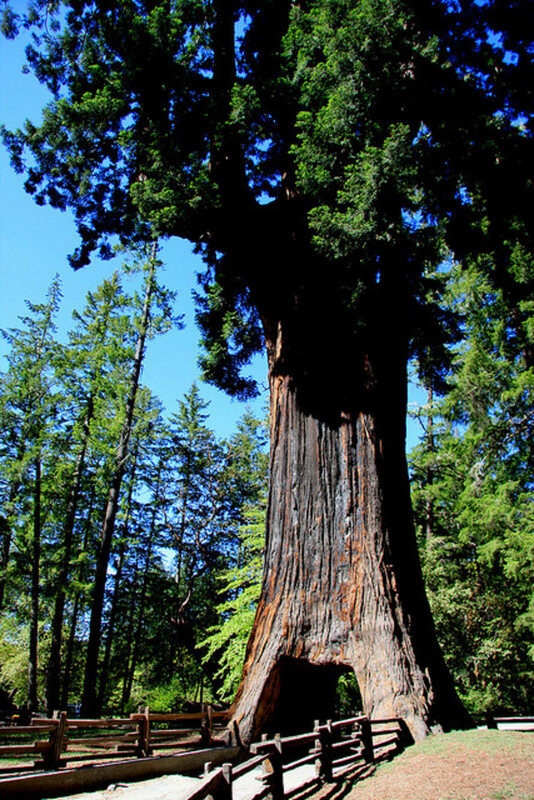 It stands over 250 feet high, and is a still growing redwood tree, age approximately 4000 years, that has been hollowed out to create a room inside. A lone 50 watt bulb hangs by a wire near the top of the opening. There are a few pieces of furniture. Five people can easily stand inside. Despite the camp factor, there is something about standing inside a 4000 year old tree that still inspires a sense of awe. 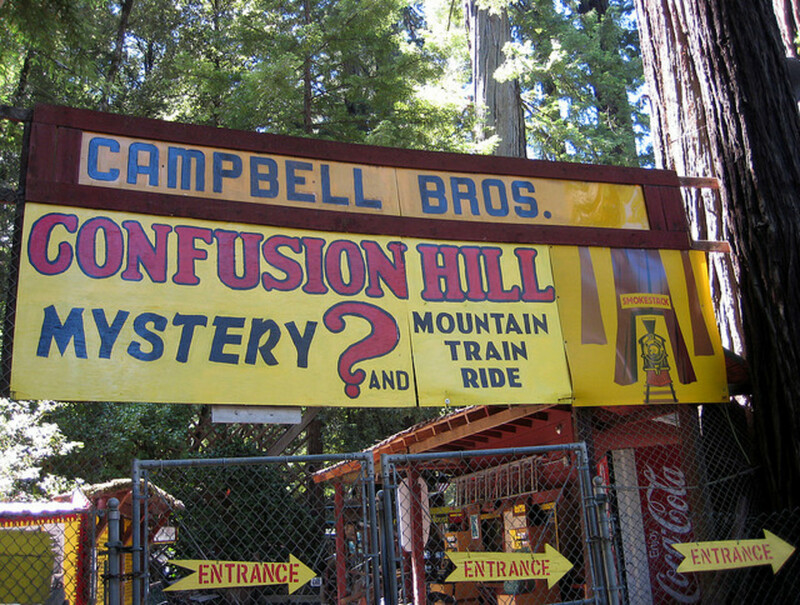 If you continue about 7 miles north of Leggett on Hwy 101, you will come to The Campbell Brothers World Famous Confusion Hill. This tourist attraction has been in existence since 1949. 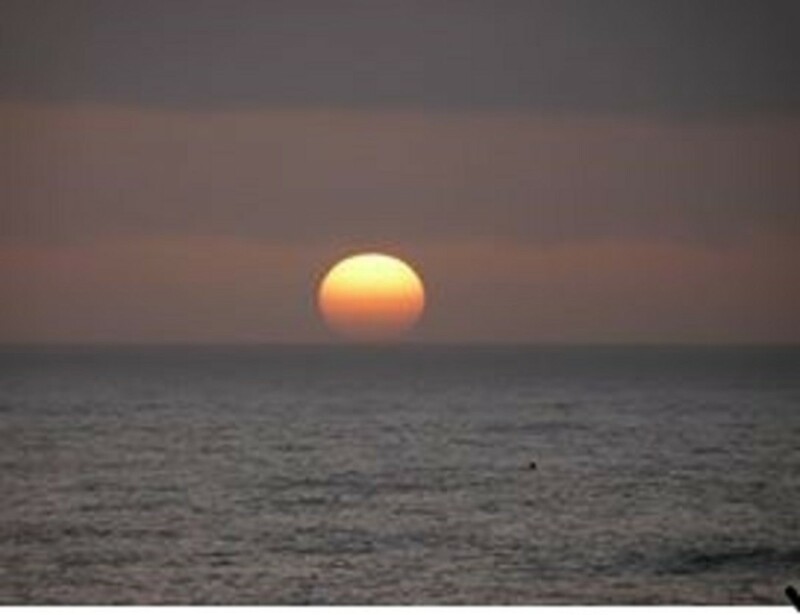 In 2010 it was listed as a California State Point of Historical Interest. Some of its features are the Redwood Shoe House, the World Famous Gravity House, and the 40 foot tall Totem Pole which is professed to be the "Worlds Tallest Freestanding Redwood Chainsaw Carving," it's listed in Ripley's Believe It or Not, and took more than 3 months to sculpt. There is also a miniature train ride offered. There is a fee for the Gravity House and the train ride, the other attractions are free, and everything except the train ride is available year round. Up until 2009 Confusion Hill was located directly on US Highway 101, but because of frequent mudslides the road was realigned in 2009. The road now bypasses Confusion hill, making it necessary to exit the Highway to get to it. The Grandfather Tree is just south of Garberville near Richardson's Grove State Park, on the edge of the Humboldt county/Mendocino county line. This 1800-year old double-trunked redwood tree is over 265 feet tall and with a circumference of about 55 feet it is one of the largest on Hwy 101. The gift shop offers t-shirts and snacks, redwood items and furniture, in addition to chainsaw redwood sculptures, which are carved on site. 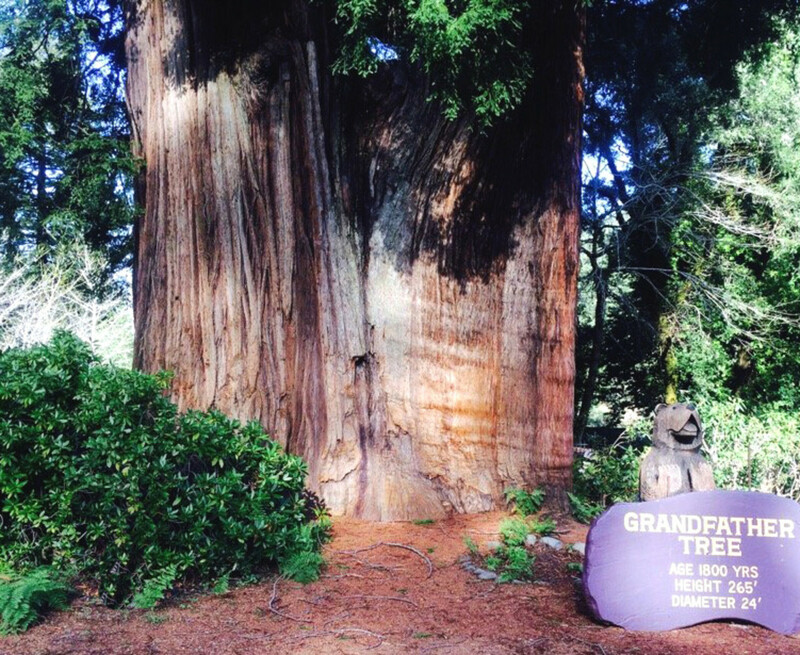 For over 30 years visitors to the Grandfather Tree have been greeted by Keith and Trudy Bowman. 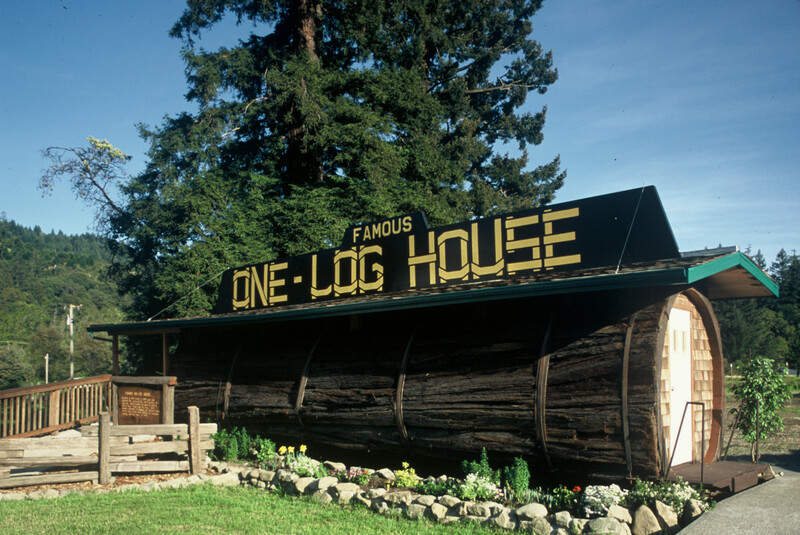 Adjacent to the Grandfather Tree is the Famous One Log House, a house created out of a single 2100-year-old Redwood log, which was hollowed out in 1946. Inside, the one log house consists of a single room 7 feet high and 32 feet long. It is set up pretty much like a motor home with areas for cooking, dining and sleeping. The log house has wheels on it, and it was designed to tour the country, but since 1999 it's been on display at what is expected to be its permanent home. There is a Redwood Burl woodworking factory, where many of the gifts sold in the gift shop and some other shops in the area, are made on-site at the One-Log-House attraction. It is one of the last remaining Redwood Burl shops in the area. Just a little further up the road you'll find the Legend of Bigfoot; it is a roadside stand selling chainsaw sculptures, burl tables, and other items. The central feature is a life-sized sculpture of Bigfoot. Sorry if I spoiled the surprise. You probably won't want to visit all of these sites, since they do become pretty similar, but try at least one of them. I'll always treasure the photos taken with my friends and family at the Drive-Thru Tree. Those redwoods are really amazing. I still have to visit this part of California though I Had been there several times. There are just so many places to visit there. Very descriptive article. I have heard Bigfoot from my kids. We would like to visit California Redwoods. Coastal redwood grow from Monterrey, CA to southern Oregon. 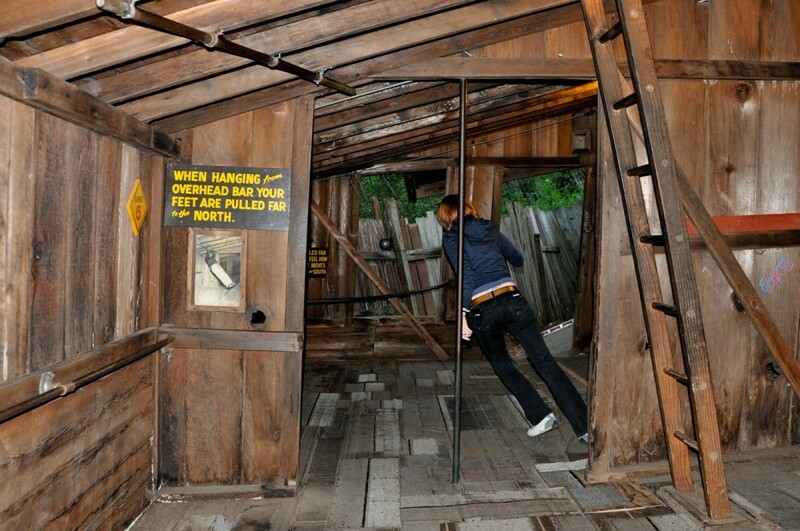 These tourist attractions I am talking about are north of Legget, CA. It is a sparsely populated area, if you were further south, you wouldn't have seen them.. I'm afraid the forests have been harmed my man's desire to cash in, but not because of tourism. It is the lumber industry that has destroyed so many redwood forests. If anything, tourism is instrumental in saving the trees. 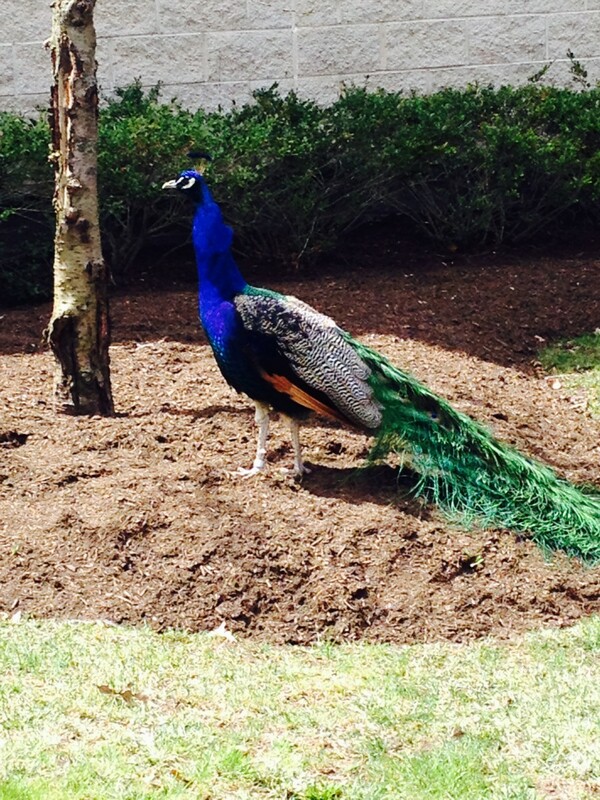 Once people see how magnificent they are, they want to keep them around for future generations. When I was about 4 years old, my grandparents took us kids to the redwood forest. I remember walking under a tree where the roots had created a cave-like structure. The trees were vast, and the forest beautiful, but for the life of me, I don't remember any of the tourist traps! I hope the forests are not being damaged by man's desire to cash in, or the amount of vehicular traffic, etc. Thanks for bringing back memories. Awesome place, the way you described the redwood makes it more beautiful. I always wanted to visit such wonderful places, by reading your hub i think I already in that place. :) such a wonderful creation. Sunnyglitter - I bet Missouri has many wonderful sites of its own. This is a fantastic and varied country we live in. Great pics! I live in Missouri, so I've never seen anything like this. Thanks for taking the time to comment stuff4kids (and these are great for kids!) It is amazing how resilient these trees are, and they somehow manage to live, and maintain their dignity, despite the indignity they've suffered. Weird and wonderful things we've done, it seems, in response to these astonishingly big vegetables! But seriously, a fascinating hub, this. I think the Redwoods are just awesome. And I agree that it's a bit of a shame that we haven't honored them in a more respectful way - but as you say, these things are kitschy now and very much of their time. 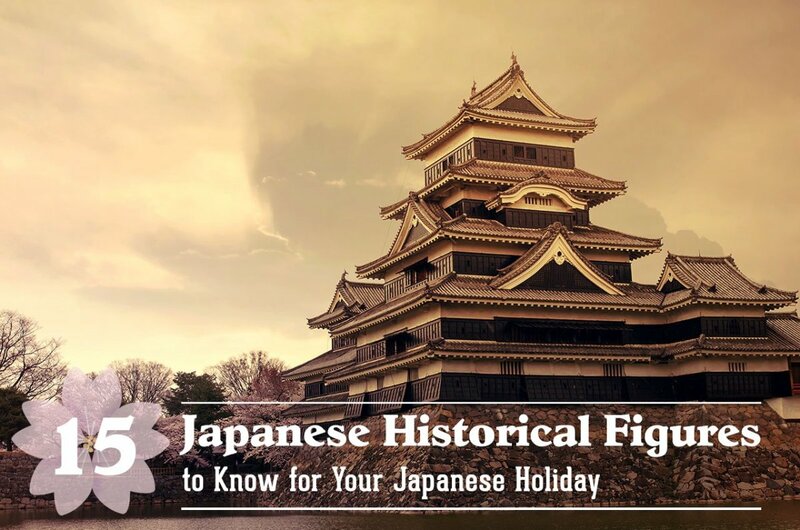 I agree Jodah - these attractions are a throwback to another era, and they are living history. Thanks for commenting. These attractions maybe kitschy Sherry, but they are something everyone should see at least once. I agree it's better to leave huge ancient trees in their natural state, but imagine the work hollowing these out and making them into what they are. The fact that the drive through tree and tree house are still living is amazing. Very interesting hub. Thanks DzyMsLizzy - I think you summed up my feeling quite well. Ahhhh...memories!! 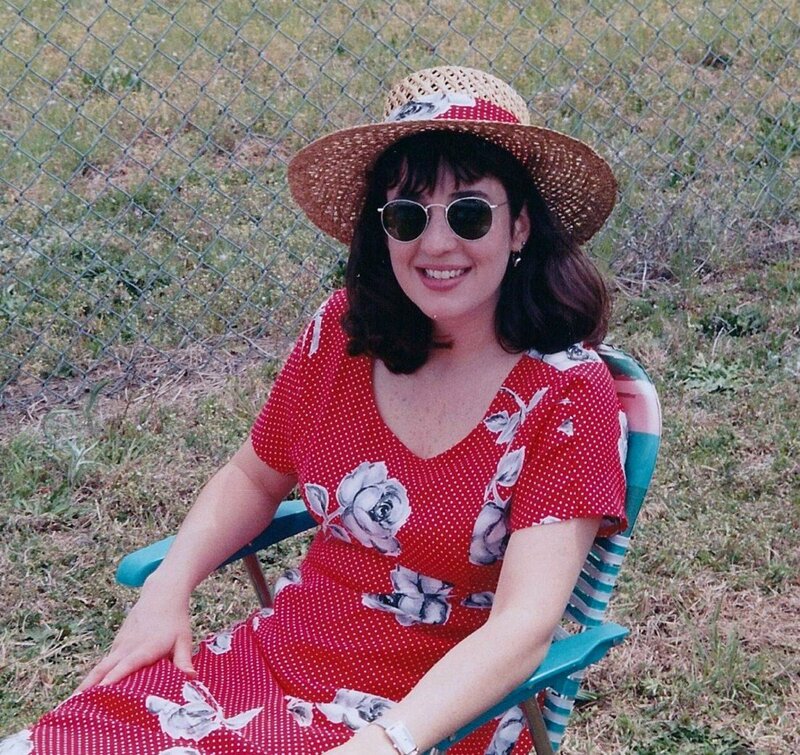 I grew up with parents who appreciated the great outdoors; and camping and hiking were our preferred summer pastimes. I've been to all of these except the "Bigfoot" one--(perhaps that is new since I was a child). However, as a California native, I do love our redwoods, both varieties, and we had, in my youth, over the years, several out-of-state relatives visit, so we went to these places many times. My feelings about these attractions, like yours, are mixed: they are a part of the history and what the culture was like in those days, yet it saddens me as well, to see such mockeries made of these majestic trees. It is a bit like putting a pink tutu on an elephant and making it ride a tricycle FlorishAnyway. 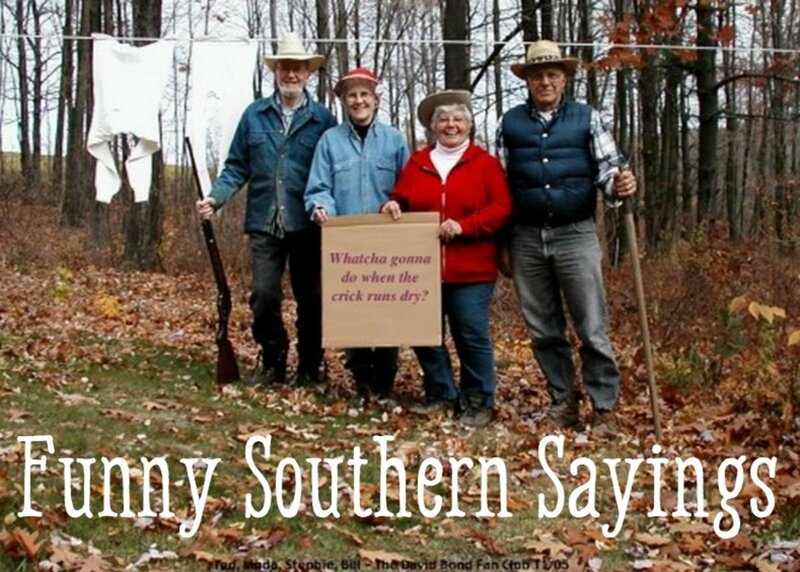 They are a piece of Americana now though. I'm happy to see that the Chandelier tree still appears to be very healthy despite the big tunnel through it. I love this! I enjoy my share of "kitschy" and have always wanted to go see the redwoods. At the same time, there is something sad and sobering about messing with a tree that's been alive for thousands of years. I'm sharing and pinning this to my "Awesome Places I Want To Visit" board. A lovely place my son was about three when learned about the giant Redwood trees and he was fascinated with the height and did not forget what he had learned from that age or before this a very interesting and informative hub. I hope you will poetryman6969. Thanks for the visit. Looks like we'll have to visit some trees the next time we are in CA. Thanks for visiting DeborahNeyens and teaches12345. Being in a grove of those ancient giants is awe inspiring. I would love to see the redwoods some day. The tree looks a bit intimidating with the huge size. Love the log house, would be fun to tour. Fun hub, Sherry. I've never seen the redwoods. Would love to check out the one log house. Thanks for commenting Vinaya Ghimire. I love reading about places, even those I may never see. If you ever get to the US, California has a lot to offer. Since I came across California in Eagle's Hotel California I have taken interesting in this part of the world. Thanks for this interesting travel article. Thanks for visiting Daisy Mariposa. Many houses could have been built from the log used for One Log House, but at that time conservation wasn't really an issue in most people's minds. It was built as a novelty, and it certainly is that. It's the same with the drive-thru trees. It would never be allowed to do that to a Redwood tree today, but I'm kind of glad that they exist. It's funny that people went to those lengths to exploit the trees, they are so impressive on their own, they really need no embellishment. What a fascinating article! I've driven on parts on Hwy 101 in Northern California, but I haven't been to the Leggett / Garberville area. The one-log house is interesting, but all that wood...if the tree had to be felled...could have been put to much better use. I hope you get out to California to see it Cathy, thanks for reading. Thanks great fun! I definitely want to see the one log house. I used to live in California-Richmond, to be exact, but I worked in Berkeley. I love CA and miss it very much. Maybe one day I will go back to live/?/?????? I love that area, and those silly attractions are fun, thanks so much for commenting. I hope you make it up there some day. Thanks for commenting Doodlehead. The one log house is actually a huge waste of wood. Had it been sawed into boards it could have built many dwellings that size. But it's a novelty, just done to showcase the huge size of the trees. Back in the 40s and 50s they seemed to see the giant trees kind of like circus elephants that needed to do tricks to be appreciated. I'm glad that's not done anymore, but it's interesting to see. 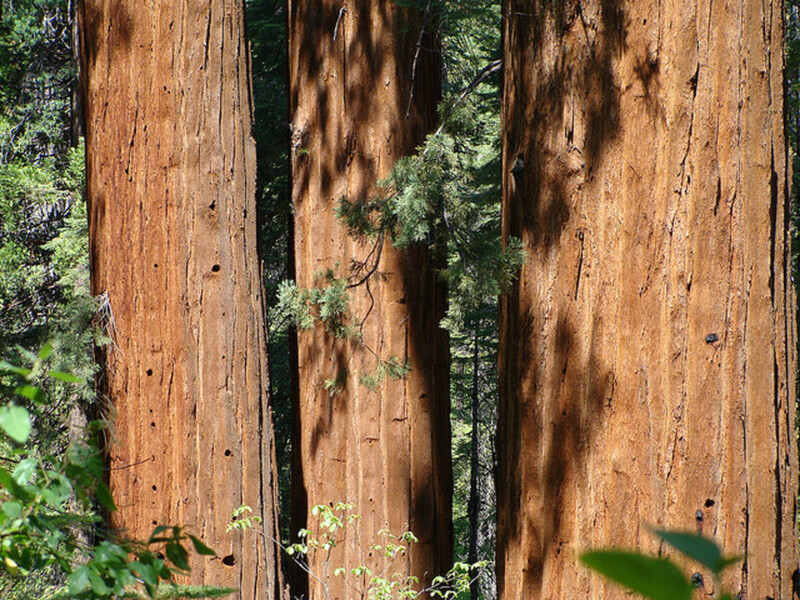 In places like Sequoia National Park we can see that the giant trees need no embellishment. They are already awe inspiring. I drove through the one tree, but had not seen the one long tree home. So cute...so cheap! Today you would probably find yourself in Federal prison for chopping down that tree. Thanks ishwaryaa22. I hope you make it out to see the redwoods, they are truly awesome. An engaging read! Chanelier Drive-Thru Tree looked gigantic and histronic! I can imagine how wonderful it would be if one drives through this tree and sees the size of the tree. Other sites you mentioned are equally interesting. The tree house and the one log house looked very quaint and uniquely attractive! I would like to visit one of these sites in the near future. Well-done! Thanks for reading Nickey Ronacher! Thanks so much Peggy W. The trees themselves are so awesome, and the silly roadside attractions I've seen so much I kind of take them for granted. 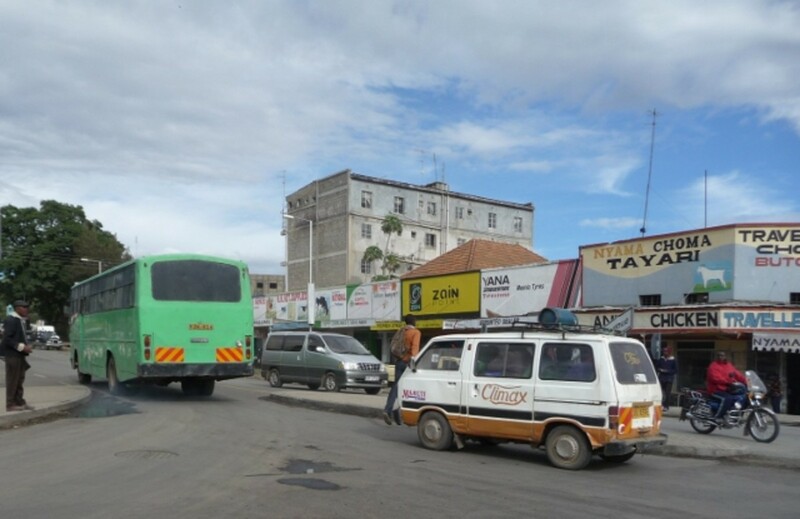 But after a recent trip through that area, it brought to mind making a hub about them for others who have never seen them. You can drive thru it in your car. Maybe I should add a picture of that, although this was the best photo I could find that included the top of the tree. It does seem to be doing very well. I can't wait to read them Sherry! I loved getting to see those national parks in California with the redwood trees and other sites. Great hub material of which I have taken advantage. However, I missed seeing all of the kitschy sites you featured in this fine hub. I have a photo of my grandparents at one of those drive through trees you mentioned that goes back many years. Voted up, interesting + SHARING. Wow, that is amazing, so huge! It is so interesting that that tree is alive and well, yet you can walk through the center. As Liz Lemon would say, "I want to go there!" It looks like you're a real outdoor person breanda12lynette. There are some really beautiful natural redwood forests for hiking in that area also. I plan to do a hub about them soon. Thank you Angela, the trees are quite amazing just on their own, but these silly tourist attractions do have their charm, and the drive-thru trees and tree houses emphasize to those who haven't seen them how gigantic these trees really are. I saw some redwoods in Yosemite, and they were easily the coolest trees I've ever seen. If I'm ever traveling in that part of the country I'll make sure to stop by a couple of these attractions. Oh my gosh look at that tree! This is amazing! I will share this!